ST. GEORGE — The historic Pioneer Courthouse located at 97 E. St. George Blvd., begins its new role as a city visitor center and gift shop on Pioneer Day. A celebration and ribbon-cutting is scheduled from 9 a.m. to noon. The historic structure opened in 1870 and served as the focal point of county administrative services for more than half a century. Most recently, the facility housed the St. George Area Chamber of Commerce until it moved across the street earlier this year. The city of St. George and the Dixie Arizona Strip Interpretive Association are partnering to provide an anchor to visitor services at the core of the City’s Historic Downtown district. A wide array of information about the area will be available including a unique selection of area books, gifts and souvenirs for purchase. 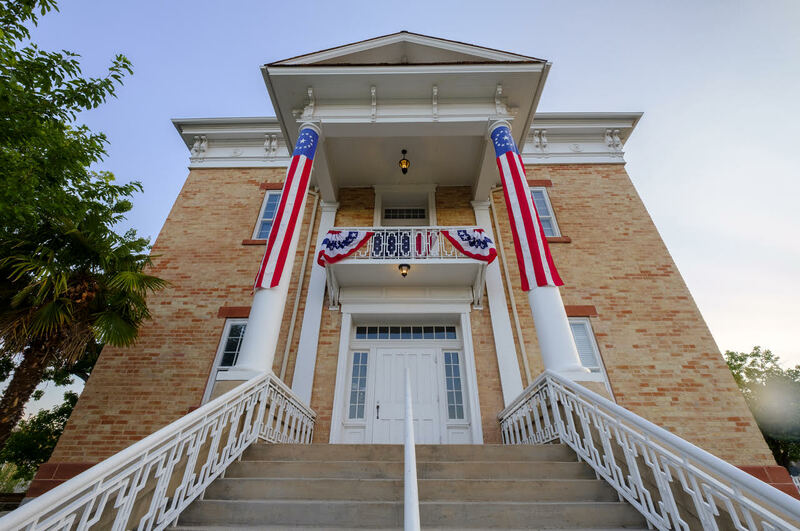 The well-preserved second floor will remain intact as a historic courtroom that will be used to host many activities including brown bag lectures, civic meetings and Historic St. George Live courtroom reenactments with Judge McFarlane played by local volunteer actors. Come and join the celebration of this pioneering partnership on Pioneer Day from 9 a.m. to noon. The Southern Utah Heritage Choir, Color Country Chorus, Red Sand Bluegrass Band and George Staheli Memorial Band will all be on hand to entertain and delight. St. George Live characters will be visiting with attendees. A ribbon cutting will take place at 10:30 a.m., with remarks from Mayor Jon Pike. Ice cold lemonade and molasses cookies will be offered.